Giving some love to a BFF (Black-Footed Ferret). Today is Valentine’s Day (February 14) and our thoughts turn to doing something special for a significant other (so), a best friend (bf) or best friend forever (bff). In this blog we consider doing something special for a bff, but the bff at focus here is not human. This bff is the black-footed ferret. That’s correct—we’re talking about the weasel-like critter with the black mask, black tail tip and black feet. This small, wiry animal, with the help of some particularly dedicated humans, has had an amazing come-back story since the 1970s, when these ferrets were believed to be extinct. 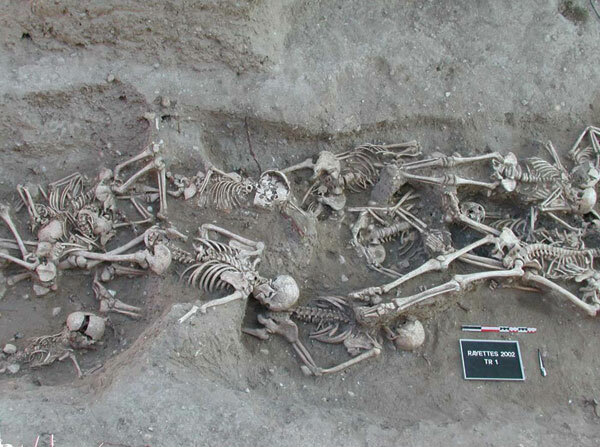 My last blog post on the Black Death highlighted research that suggested that the reintroduction of Yersinia pestis, the causative agent of the pandemic, originated in Europe during the 14–18th centuries rather than from Asia, the hypothesized origin. In my post, I wrote about my curiosity regarding what an Asian skeleton positive for Y. pestis from that same time period would reveal about the strain or strains that were circulating. Well, a team of researchers has been exploring the issue of strain circulation and an Asian connection, and recently published what they gleaned from additional historic Y. pestis samples in Cell Host & Microbe. Fridays are generally reserved for fun posts to share prior to the weekend. As we all know, fun is relative and to me, the latest news about how long Yersinia pestis has been entwined with human history is intriguing. I enjoy writing about the latest historical finding of Y. pestis even if I do earn a black reputation among my blogging colleagues (pun intended). Therefore, as soon as I saw the Cell article about Y. pestis found in Bronze age human teeth, I knew my blog topic was at hand. Plague cases in the United States over 42 years. Copyright Centers for Disease Control and Prevention. Yersinia pestis. By Mrs Robinson at bg.wikipedia (Transferred from bg.wikipedia) [Public domain], from Wikimedia Commons. Yersinia pestis by U.S. Center for Disease Control [Public domain], via Wikimedia Commons.